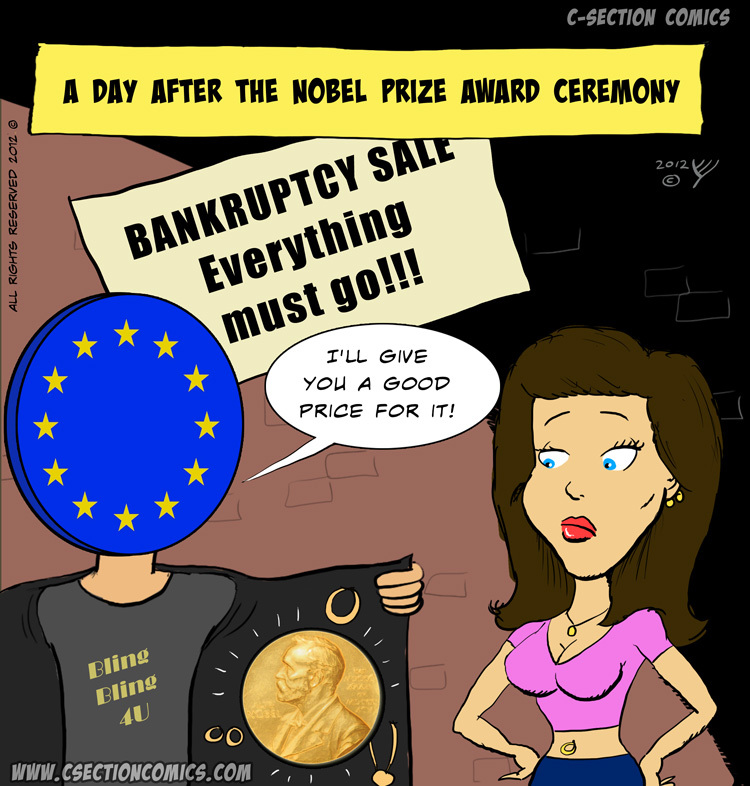 Good ol’ European Union, putting the Nobel Peace Prize medal to its best use. (P.s. that’s the fastest I’ve ever drawn).